I am sure many would remember those days when Bank employees from tellers to managers were in great demand in the matrimony market. The girl’s father were always appreciative to have a banker as their son-in-law that gave the individual status as well as dignity. Technology and product innovation were unheard in those days. “A Bank for the Buck” is the story of the birth as well the growth of HDFC Bank which turned eighteen in August 2012. There are many things one can do when one turns eighteen years and it very much varies from a country to country. In India, one can vote and get a license to drive a car, but can’t drink in public places. But, in China, turning eighteen gives one the licence to drink. In the odyssey of past eighteen years the book tries to showcase if life did turn out to be different for the bank’s employees, customers and investors. The entire journey of eighteen years the author has covered it as a story which spread across thirteen chapters. 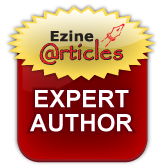 By writing it as a story the author has kept it interesting by engaging the readers. The objective was not merely to come up with the bank’s history but to revolve a story about the making of this successful bank in India. Author, Tamal Bandyopadhyay is one of the most respected business journalists in India. His weekly column, Banker’s Trust, in India’s second-largest read financial daily Mint, where he is Deputy Managing Editor, is widely read for its deep insights into the world of finance and its unerring ability to anticipate major policy moves. Tamal has kept a close watch on the financial sector for over fifteen years and has had a ringside view of the enormous changes in Indian finance over this period. He has been a frequent speaker at seminars across India and has hosted a very successful weekly show (by the same name as his weekly column) on television, featuring some of India’s most respected bankers, policy makers, central bankers and regulators. He has contributed to The Oxford Companion to Economics in India, edited by Kaushik Basu and published by Oxford University Press in 2007. Banker’s Trust, an anthology of his weekly column in Mint, has recently been published. This is Tamal’s first book. The journey begins right from how different names were suggested like Bank of Bombay (BoB) or Bombay International Bank before finally settling down with name HDFC Bank. The acronym for Bank of Bombay clashed with the established public sector bank, Bank of Baroda and that was dropped off. 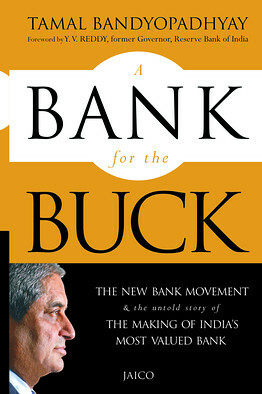 The first four chapters speak about the making of the bank, how it was conceptualized, how the core team was built up. The next four chapters discuss about the business philosophy of the bank and how it is different from the rest of the pack. Chapter number nine and ten talks about mergers. Chapter eleven details about what went wrong with the bank and how it got into a mess. Chapter twelve delves into the story of what makes Aditya Puri the longest serving CEO of any bank in India. The last chapter tells the readers the story as to why this bank is successful. Looking at the journey today it would be difficult for many to be believe that in the initial days the training sessions were conducted by the bank under a tree at a textile mill compound in Central Mumbai. It was not an easy task either for the Chairman Deepak Parekh to bring each member’s of the core team to a common level of understanding. The book is not just meant for new players or bankers but would be a valuable story for business school students to learn how a bank of this class can be set up in India. The author has kept it interesting by maintaining an informal style of narrating the stories. To amplify his thoughts for his first book we learnt that the author left from Mumbai and went to Goa for about two months in search of privacy leaving his family behind. He ended up writing for almost 16 hours per day the end result being an excellent read “A Bank for the Buck”.